Our sidra this morning tells us of the reunion of Moses with his father-in-law, Jethro, and with Moses’ wife Tzipporah and his children who had remained behind in Midian while Moses was experiencing the adventure of the Exodus of Israel from Egypt. After Moses tells Jethro of all that had happened to the Jewish people, we read, “vayiĥad Yitro,” “Jethro rejoiced for all the goodness which the Lord had done to Israel” (Exodus 18:9). Now, the word “vayiĥad” means more than “rejoice.” I would translate it “and Jethro was thrilled.” Both words, “vayiĥad” and “thrilled” mean “joy to the point where you feel your skin being pierced with sharp pleasure.” The Hebrew “vayiĥad” comes from the word “ĥad,” to feel a sharp sensation, and the word “thrill” comes from the Middle English “thrillen,” which also means to be pierced or “drilled” with joy. So Jethro experienced great, almost ecstatic joy. Why was he so happy? What was so thrilling about his experience? A reading of Rashi leaves us with the feeling that Jethro’s joy was not unqualified. A non-Jew himself, he could not gloat over Pharaoh’s downfall. Why, then, “vayiĥad”? I believe that we may find the answer to this question by a psychological analysis which yields morally instructive results. 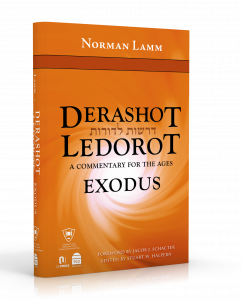 In order to appreciate it, we must pick up, as it were, stray hints that the Torah leaves for us in order to build from them a perspective on the attitudes and lives of the protagonists in this great story. In the beginning, Moses takes his family from Midian to Egypt, a trip that Jethro does not find to his liking (see Abarbanel on Exodus 4:18). Later, Moses sends his wife Tzipporah and his two children back to Midian to stay with his father-in-law Jethro, while he, Moses, continues with his work. We who read the Bible know the real reason for their separation. Moses was now involved in perhaps the greatest single enterprise in all of history. He was the father of all prophets of all the ages and, as such, experienced constant and uninterrupted gilui Shekhina, divine revelation. In order to be at all times prepared for the revelation of God, he could not live in the normal manner of most human beings. His mind and heart and soul had to be free from all private entanglements. He was the public figure par excellence, and therefore, in order to do justice both to his mission and to his wife and children, he was forced to send them back to his father-in-law Jethro for the duration of this great historical operation of the Exodus from Egypt. But Jethro did not know this. One must put oneself in Jethro’s position and imagine how he felt. Here was this young man, Moses, who had come fleeing from the Egyptian police and had found a home with Jethro, the high priest of Midian. Jethro gave the young fugitive a home, gave him one of his daughters for a wife, put him into business tending his sheep. And then young Moses goes back to Egypt, for he has an itching ambition to succeed. And now that he has succeeded, he seems to have shirked all his familial duties, and abandoned his obligations. How bitter must have been the heart of old Jethro. Thus does our sidra open with “vayishma Yitro”: “Now Jethro, the priest of Midian, the father-in-law of Moses, heard all that God had done for Moses and for Israel His people, how the Lord had brought Israel out of Egypt.” Moses has reached the climax of his ambition, yet his family has not heard a word from him. He has apparently forgotten than he has left a wife and two little children behind. And Jethro thinks to himself: This Moses has probably developed the psychology of a conqueror. He probably thinks he has outgrown me, my daughter, and his children. Now that he has beaten Pharaoh, he has no doubt adopted the attitude of Pharaoh, who was able to say with such bloated arrogance (Exodus Rabba, Va’era 8:1), “li Yeori ve’ani asitani,” the Nile is mine and I am a self-made man – no one can tell me to do anything. Perhaps Jethro attributed to Moses the kind of arrogance that comes naturally to conquerors that we know existed later in the Roman Empire, when the Romans’ most solemn celebration was the festival of Triumph, with its manic excitement, its bloodthirstiness, its corruption. No wonder the Torah tells us, just before the reunion, that when Jethro brought along Tzipporah and the two children, that the children’s names were Eliezer and Gershom. The Torah explains why Moses gave them these names (Exodus 18:3-4). The older one was called Gershom, “ki ger hayiti be’eretz nokhriya,” “I was a stranger in a foreign land.” The younger one he called Eliezer because “Elohei avi be’ezri,” “the God of my father helped me.” Why this information at this late date? It is an insight into Jethro’s feelings, a clue to his innermost thoughts. Jethro remembers that Moses was once a humble, human personality, who tasted the bitterness of loneliness, of being an unknown and unwanted alien. He once knew that he has not only a God, but a father. Now, the same individual, Jethro thinks to himself, is sitting on top of the world – no longer remembering that he himself was a “Gershom,” an alien, and probably forgetting both father and father-in-law. And so, the old man Jethro, broken in spirit and heavy in heart, takes his hat in hand and proceeds to the confrontation with proud, ungrateful, successful M oses. Jethro is ready to accept humiliation, to crawl before his triumphant and haughty son-in-law and plead with him to take back his wife and children. This is the pathetic message that Jethro send to Moses, “ani ĥotenkha Yitro ba elekha, ve’ishtekha ushenei vanekha imah,” “Moses, I, your old father-in-law Jethro, am coming back to you, and I am bringing along your wife and your two young children.” Remember us, Moses? Remember the voices from your past? We are here again, pleading with Your Excellency to take us back. But then – a remarkable thing happens. When Moses receives the message, he surprisingly does not act like a triumphant, supercilious, egomaniac conqueror. Rather, he runs towards Jethro, bows low before him, kisses him, greets him, and brings him to his own tent. And there, he tells him the story of all that had happened since they last met, “And Moses related to his father-in-law all that God had done to Pharaoh and to Egypt” (Exodus 18:8). How shocked Jethro must have been – Moses does not gloat over what he had done to Pharaoh as a result of his superior mind and military skill and shrewdness and wisdom. He tells him, rather, what God had done to Pharaoh and Egypt, “al odot Yisrael,” “for the sake of Israel!” Moses does not say, “God has done this because of me,” but because of Israel. What a jolt this must have given to Jethro’s preconceptions. For when he came, it was because “vayishma Yitro,” Jethro heard all that God had done “leMoshe uleYisrael,” for Moses and Israel. The reports that had come to him were not only concerning Israel, but primarily concerning the great successes and triumphs of their leader Moses. And now that Moses himself tells the story – there is no mention of Moses’ name! It is only “al odot Yisrael,” “for the sake of Israel” (see Malbim ad. loc.). And so Jethro realized how terribly wrong he was, how dreadfully mistaken – this man is not only not arrogant, but he is a genuine human being, a profound anav; not only is he not coldly sub-human, but he has such marvelous qualities, almost superhuman! This is a man who possesses greatness, warmth, a golden character. How lucky I am to be his father-in-law, he now thought. And Jethro was so overcome with emotion, so deliriously happy at discovering his mistake, that “vayiĥad Yitro,” Jethro was thrilled – goose-pimples began to form in his flesh and a shiver ran down his spine, because he now found himself face to face with the greatest individual he has ever met in all his life. This is a thrill – the thrill of a lifetime. It is the high point of Jethro’s life – the discovery that there was such superb greatness in a man who was close to him and in whom he had never detected it to such an extent. What a remarkable character this Moses was. He had a total lack of self-consciousness. He did not even act “modestly,” telling Jethro “it wasn’t really my doing.” Rather, he simply “forgot” himself and the role he played. Only one possessed of this kind of character, this utter lack of self-consciousness, could by himself write out the words spoken by the Lord, “veha’ish Moshe anav me’od,” “The man Moses was very meek” (Numbers 12:3), and not even be aware of the fact that these words are describing him. For anivut, meekness, the quality of Moses, is much greater and more difficult to achieve than shiflut, lowliness or humility. The shafel may be virtuous in that he is always painfully aware of his inadequacies and limitations – but he is still concerned with himself, whether positively or negatively. Whereas the anav, the man who is unselfconscious, is not even aware of a self that is inferior. His ego has been subdued to the point of forgetfulness. What a thrilling experience to meet an individual of this kind! If we now turn back to the sidra we have a new understanding of the first words Jethro uttered after his thrilling experience. Jethro said, “Blessed is the Lord who has saved you from the hand of Pharaoh and from the hand of Egypt, and who has saved the people from under the hand of Egypt.” Why the redundancy? There are two things Jethro thanks God for. The last half of this verse refers to the political and military deliverance of the people of Israel, their physical redemption – “who has saved the people from the hand of Egypt.” But the first half refers to a yet greater miracle – “Blessed is the Lord who has saved you from the hand of Pharaoh and from the hand of Egypt,” who has delivered the people of Israel from the plague of leaders like Pharaoh, from the tragedy and misfortune of being led by people who are obsessed with their own importance, who become intoxicated with their own egos and their own power, and who rapidly degenerate in character and personality to the point where they become inconsiderate, ungrateful, and insensitive megalomaniacs. The Jews were saved not only from the Egyptians – they were also spared the excruciating burden of a Pharaoh-type leader. This, then, is the thrill of a lifetime. Not everyone, of course, can attain such sustained heights of character as Moses did. Assuredly not. But the fact remains that some of it is not only desirable but indispensable for civilized living. We cannot be human unless we experience moments of self-forgetfulness, of utter selflessness and altruism. When we meet such character in other people, we too experience the “vayiĥad,” the thrill. Therefore, we must try to develop such traits in ourselves. If a man is always out for himself, he becomes coarse to the point of inner vulgarity. We must make special effort to develop, at least on occasion, the quality of Moses’ lack of self-consciousness. How is that done? How can such heights be attained, even temporarily? The best way to forget yourself is to keep someone else in mind. That means to do things for others in a completely selfless manner. In Hebrew we call this gemilat ĥasadim, the doing of favors. I do not mean merely the objective act of ĥesed, of generosity. Rather, I refer to gemilat ĥesed, the subjective act of losing yourself in an act of helpfulness for someone else. This does not mean that is wrong to give charity for personal popularity and wide acclaim – if not for these factors, Jewish philanthropy in America would probably collapse. But there ought to be special moments when we ignore our egos and immerse ourselves only in the act of ĥesed. Perhaps this is the real meaning of gemilat ĥesed – the word gemilat comes from the same root as the word “vayigamel,” “and he was weaned.” The selfless act of kindness is one that is weaned from ubiquitous egotism, it is a mature act of ĥesed, the kind given wholeheartedly, without expectation or desire for thanks or a favor in return. Try that sometime. Secretly make somebody happy – without intruding with your own personality. Perhaps do it anonymously. Make it possible for someone to experience that change of view that Jethro did, growing from a feeling of frustration, bitterness, and disappointment – having lost faith in his fellow men – and moving that person to the point where he will be thrilled by your helpfulness without egotism. No greater joy exists than that. This, then, was the thrill of Jethro – to learn that it is possible for a man to have every excuse for being arrogant, and yet to find that he is incredibly selfless and compassionate. With man as with God, “kol makom she’ata motzei anvetanuto ata motzei gedulato,” “wherever you find his meekness, you find his greatness” (Pesikta Zutrata, Devarim, Eikev 15a). The greatness of man consists in transcending his own petty involvements with his self. This is true greatness – for it is a paradox, yet true: the more you think of yourself, the less there is to think of. The more you forget yourself, the more you will find the real and enduring value of yourself – for the way to find yourself is first to lose yourself in something worthy. And it is by losing yourself in a noble mission – in loyalty to Israel, in prayer to God, in extended mature kindness to your fellow human beings – that each of us can experience the thrill of a lifetime.